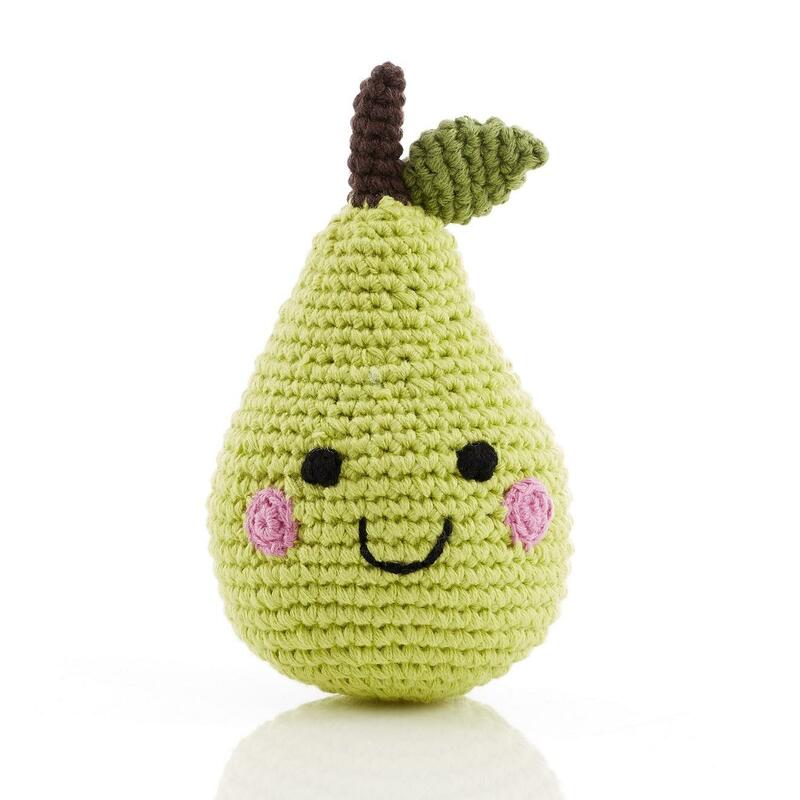 Fair trade Green Pear Baby Rattle with cheerful, smiling face. Part of Pebble's friendly fruit range. Good enough to eat is a great description for our gorgeous food baby rattles. Its never too early to teach the good habits of healthy eating, and the best way to do it is through play so let your baby shake, rattle and roll to their heart’s content with these vegetable play food baby rattles. •A wonderful toy for your new baby or why not buy a set to make a wonderful and ethical new baby gift? Who made my green pear baby rattle? Our cotton crochet food baby rattles are made by our fair trade partner Pebble.